Germany, Europe's economic engine, seems to have lost some steam as its GDP climbed just 0.3%, significantly lower than the 0.7% rise in the previous quarter. The report dented the euros rebound in the FX CFD trading markets, with the shared currency still looking anaemic at best. This meant that the EUR/USD pair ended rather flat at $1.3458, with additional disappointment coming from a surprise contraction in the French economy. It has been reported that for the first time in its history, Eurozone inflation is on its way to drop below Japan's, not exactly a country known for its high consumer prices. That fuelled speculation of more action from Draghi & Co and so the shared currency gained 28 points versus the dollar to close at $1.3461. Ahead of tomorrow's European GDP number, which is expected to show a 0.2% increase, the shared currency continued its light rebound versus the dollar, rising 21 points to $1.3433. Today, industrial production figures will be closely scrutinised for indications of whether the region's economic troubles are truly behind us. Bargain hunters made a comeback into the euro versus the dollar following last week's stronger than expected US jobs report and a surprise cut in the ECB interest rate. As such, the EUR/USD pair managed to rebound 56 points to $1.3413 after appearing to have found support around the $1.3350 level. The euro continued its slump against the dollar following the unexpected move by the European Central Bank to lower its benchmark interest rate to 0.25%. A fall in inflation to the weakest pace in 4 years was at odds with the central bank mandate of price stability and was seen as the main reason for the rate cut. 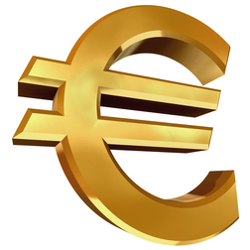 Consequently, the EUR/USD dropped another 58 points to reach $1.3358.